U.S. Sen. John Cornyn, R-Texas, has tapped a former top operative for Gov. Greg Abbott to manage his 2020 re-election campaign. Cornyn announced Tuesday his campaign manager will be John Jackson, who led Abbott's successful re-election bid last year, an early hire that suggests the state's senior senator is not taking 2020 for granted. "It's no secret national Democrats will again target our state and spend millions to wipe out conservatives in Texas," Cornyn said in a statement. "John's experience managing large field operations and building winning coalitions will ensure we're ready and help Republicans up and down the ballot." Jackson was Abbott's campaign manager last year when the governor easily won a second term against Democrat Lupe Valdez. But it was a much tougher year for other Republicans on the ballot — most notably the state's junior senator, Republican Ted Cruz — and Cornyn has since spoken frankly about the changing politics that await the Texas GOP in 2020. 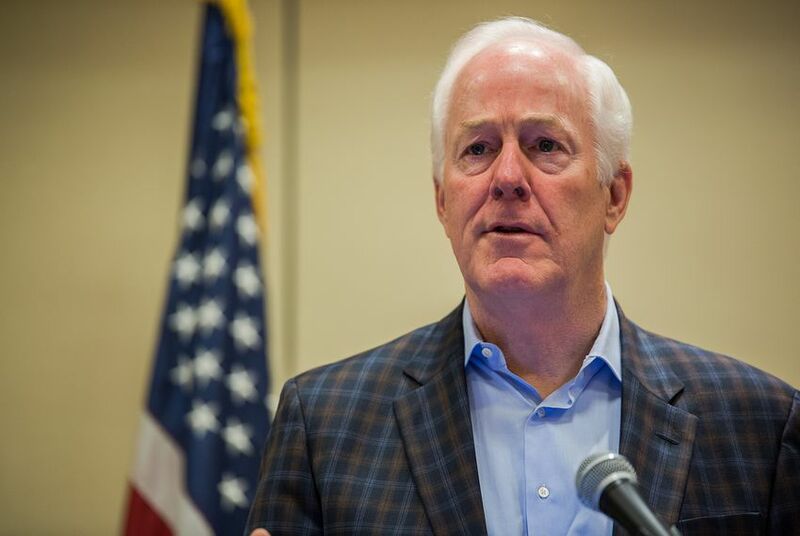 Cornyn has made a number of moves since the midterms to build re-election support. In December, he announced endorsements from Cruz and Lt. Gov. Dan Patrick, erasing any doubt he would have their backing in the primary. Before working for Abbott, Jackson served as Texas Victory director for the Republican National Committee during the 2014 election cycle. Previously, he worked for the state party and on other campaigns.